What Are Silver Bullion Bars? What Is A Gold Unite? How Much Treasure Is Still Lost? When someone speaks of something weighing an ounce, the chances are that they are referring to an Avoirdupois Ounce, which is the seldom-used "official" name for the ordinary ounce. Bathroom scales, kitchen scales, produce scales and other "ordinary" scales which are calibrated in ounces, are using these ordinary "Avoirdupois" ounces. However gold, silver, platinum and gunpowder are measured using a slightly different weight - the Troy Ounce. The two ounces, Avoirdupois and Troy, are not exactly the same. Not everyone knows the difference and it could be very important: If you are buying precious metals (perhaps with a view to profiting from an item's scrap or melt value), you really need to be sure which type of ounce you are getting - because a Troy Ounce is over 9.7% heavier than an Avoirdupois Ounce! An "ordinary" (Avoirdupois) Ounce is exactly 28.349523125 grams - or 437.5 grains. A Troy Ounce is exactly 31.1034768 grams - or 480 grains. The "prices per ounce" of Gold, Silver and Platinum we hear quoted in the commodities markets and seen on the charts are always for Troy Ounces. Troy Ounces are the measurement used worldwide for precious metals. This includes bullion weights; the commodity market's price-per-ounce of gold, silver, platinum (also the other rare "Platinum Group Metals" rhodium, ruthenium, osmium, palladium and iridium); the precious metal "spot price"; and the graphs that track the price changes of precious metals over time. If you are buying or selling precious metals - for example gold bullion bars or silver coins - or if you are working out the scrap value of old gold or silver items, you really need to be sure which ounce you are working with! Below are the conversion factors you need in order to do your calculations with absolute accuracy. Notes - 1) you may occasionally see weights of silver bullion bars denoted in grains. (Grains are also still used in the USA in weights of certain armaments - for example, gunpowder, arrows and fencing foils.) 2) A fluid ounce is something different altogether - a measurement of liquid volume, not weight. Why do we still use the Troy Ounce? The Troy Ounce has remained in use ever since old times, before systems of weight were standardized around the world. One of the main reasons we still use the Troy Ounce is because as of 2010 the London Bullion Market Association still used beam balances to weigh gold. Although this might seem antiquated to the uninitiated, it is not: Owing to exacting standards, there are very great technical hurdles for the LBMA to overcome in switching to metric electronic scales, and development of a satisfactory electronic scale has taken several years. 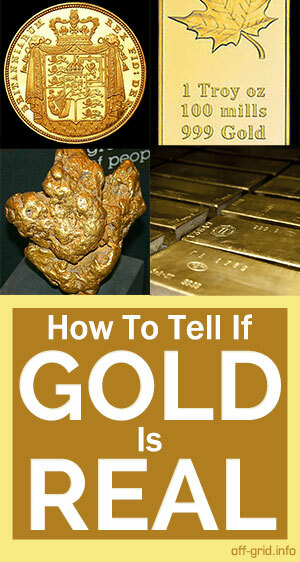 Many producers in other nations weigh gold using metric electronic scales and then convert the figure to Troy Ounces. Also, most of the bullion in existence is in the form of bars and coins that weigh an exact number of Troy Ounces - such as the 400 oz Good Delivery Bars. If the market prices were switched to ordinary ounces things would get really messy. Either you would have to do a conversion every time, or every bar would have to be melted down and recast at a different weight. And what if new bars were cast that weighed avoirdupois ounces? They would be difficult to tell apart visually from troy ounce bars, so every single bar would have to be examined to see which type they were, and then a more complex sum would have to be performed to work out the total sale price. It's easy to see that it would be an absolute headache to switch, and much easier to leave things as they are. The Troy Ounce still lives on - though in modern times one sees increasing amounts of bullion in grams or kilograms - and at some point it seems that the world will switch. The origin of the term "Troy" as applied to Troy weights, is believed to be that it was a system of weights used at the ancient fair of Troyes, in Champaign, France. The Oxford English Dictionary states that this fact is not certain - although from other evidence it looks extremely likely. The term does not appear to be a reference to the Troy of ancient Greece. The Troyes fair is believed to date back at least to the 5th century - and was known to have grown internationally famous by the 12th and 13th centuries, at which time Troyes was a very important center of civilization - and one of the most significant markets (and therefore centers of commerce) in existence. With merchants from many different countries attending the fair of Troyes, it would have been necessary to have a good, standardized system of weights. OED does not mention (although it is mentioned in "The English Cyclopaedia" (1868) by Charles Knight) that other French cities had their own weight systems; such as the pound of Cologne and the pound of Toulouse. Furthermore, given that the monarchy of England at the time stemmed from the lineage of Norman Kings, it does seem all the more likely that the Troy ounces system derives from Old France: King Henry II of England, who was born in Le Mans, France in 1133 and was King Of England from 1154-1189, introduced the "pre-decimal" (as it is now called) system of coinage to England, and the "Sterling Silver" standard of 92.5% silver coinage - to replace the use of fine silver. According to C. E. Challis' A New History of the Royal Mint (p.89), Henry increased the weight of the English penny in 1158 - and this was done in order to standardize the system with the French Troyes system. 92.5% purity (also known as 925 silver) became the standard upon which English silver settled, and is still one of the most common purities seen. In the old Troy system, as with more ancient systems, silver weight and monetary value were tied together: One pound of money contained exactly one Troy Pound of silver. A pound contained 20 shillings or 240 pennies - and the silver penny contained one pennyweight = 1 dwt = 24 grains = 1/240 of a Troy Pound - of silver. "925 silver" was created by alloying 222 pennyweights of silver (11 oz 2 dwt) with 18 pennyweights of alloy. In 1279, the English silver penny contained 24 grains of sterling (925) silver - however over the centuries the amount of silver in the penny gradually declined, through the deliberate reduction of either the purity or size of the coins. This controversial practice, known as debasement had been a tactic used previously in Roman times and was a method by which the sovereign could gain wealth at the expense of the citizens - as it allowed the government to create more coins from the same amount of metal. This lowering of the value of the coinage caused inflation. From 1600 to 1816, a troy pound of 0.925 silver was coined into 62 shillings (while the "money pound" continued to contain 20 shillings! ), and from the Great Recoinage of 1816, until 1919, a troy pound of 0.925 silver was coined into 66 shillings. In 1920 the amount of silver in British coins was reduced to 50%, and in 1947 the silver content was removed altogether. Oxford English Dictionary cites references to the term Troy Ounce in literature dating back to the year 1390. OED mentions furthermore that the Troy Ounce / Troy Pound was also used to weigh bread. Dictionary.com mentions that Troy weights were used to weigh grain - and this makes sense as the original grains as a unit weight were derived from the weight of actual grains of cereal crops! The old system is not entirely obsolete - while researching this article I actually found grain products for sale online weighed in Troy Ounces - though whether this is through revival or survival of the old Troy system, I know not. The term "Avoirdupois" comes from Old French meaning "goods of weight" - and according to Russ Rowlett seems to derive from around 1300 when it replaced the "Mercantile Pound" of 15 Troy Ounces. According to Rowlett, the Avoirdupois weights derived from an Italian system of the late 13th century. Troy Pounds and Ounces were also used by Apothecaries to weigh medicines - only Apothecaries used different subdivisions of the ounce (scruples and drams) and so the Apothecaries' weights were considered to be their own system. Discrepancies between various systems of weight have been an ongoing problem for hundreds if not thousands of years and must have been a cause of interminable confusion and quarrel throughout history. In 1631 Braithwait wrote "A trite discourse of weights and measures: most ponderously dividing them into trois and averdepois." (source - Oxford English Dictionary). I am curious as to whether the following fact, not mentioned in any of the sources listed below, might be the origin of the difference between the two weights of Troy and Avoirdupois: A coin which is 11/12 precious metal (i.e. 22 carat gold) and has a weight of one Troy Ounce, would need to contain 28.511 grams of actual gold - very close to an Avoirdupois "goods of weight" Ounce. This theory is pure speculation - but it strikes me as possible that a Troy Ounce of 916 gold once contained "goods of weight" of one Avoirdupois Ounce (28.3495 grams). There are those who oppose changes in monetary systems and systems of measurement; and while old systems are undoubtedly much more convenient to those who have used them for a long time, systems of measurement eventually change to reflect the commodities and units of actual wealth of the day. In old days a unit of wealth was required that was uncommon and not perishable. Precious metals were therefore the obvious choice. Nowadays, gold's value is largely dependent on its symbolic nature as an item of wealth. However it is easy to understand the attachment to gold as a measure of wealth in comparison to the intangible world of pure numbers that we now have. The Troy Ounce is worth remembering and preserving - as both a royal symbol of standards of purity and quality, and as part of our ancient heritage: However it must be born in mind that in the UK use of the Troy ounce is restricted to precious metals, as per the Weights and Measures act of 1985: "No person shall use for trade the ounce troy, except for the purposes of transactions in, or in articles made from, gold, silver or other precious metals, including transactions in gold or silver thread, lace or fringe." Coincraft's "Standard Catalogue of English and UK coins 1066 to date"
Disclaimer - While every care was taken in the preparation of this website (www.troy-ounce.com) and its contents, no guarantee is made as to the suitability of this website for any purpose whatsoever, nor of the accuracy, timeliness or usefulness of its information. This website is provided for general information and entertainment purposes only and the information provided on this web site should not be seen as, nor as a substitute for, legal, business or investment advice. The website's owner specifically disclaims any and all liability arising in conjunction with the use of the materials / information herein.